Cross Motor Engineering are experienced in handling bodywork repair, offering a wide range of bodywork and accident repair services for all makes and models of vehicle. We are committed to providing a high standard of workmanship, superb customer service and excellent value for money. It’s this philosophy that has earned us an unrivalled reputation throughout Worcestershire and the West Midlands. The latest equipment and technology is used to provide you with a first class bodywork repair service. We provide flawless vehicle repairs, refinishing and restoration work and with hi-tech colour matching, we can return your bodywork back to showroom quality. 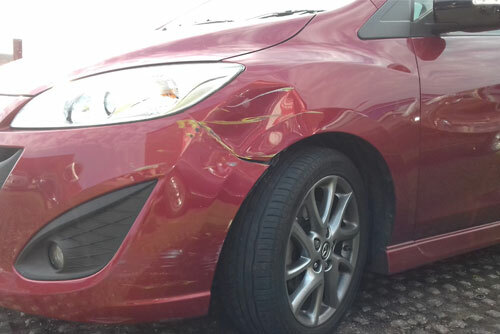 Whether your vehicle has a small dent, relatively minor scratches or it needs extensive bodywork repairs you can place trust in our expert workmanship to get the job done to the highest standard. Damage to your bodywork is not always intentional. A stone chip that hits your car while you’re driving or a minor prang in the supermarket car park are common place. At Cross Motor Engineering we are here to deal with all natures of car bodywork repairs, from the minor to the more significant. No matter what the damage, you can rely on us to put it right. By providing you with a one stop shop service all your vehicle body repair and re-painting requirements are managed by us getting you back on the road swiftly. As well as working with domestic customers, we can also offer our bodywork repair service to businesses. So, if you have a commercial vehicle that is in need of bodywork then please get in touch.